They are funny and brave, but most of all compassionate. 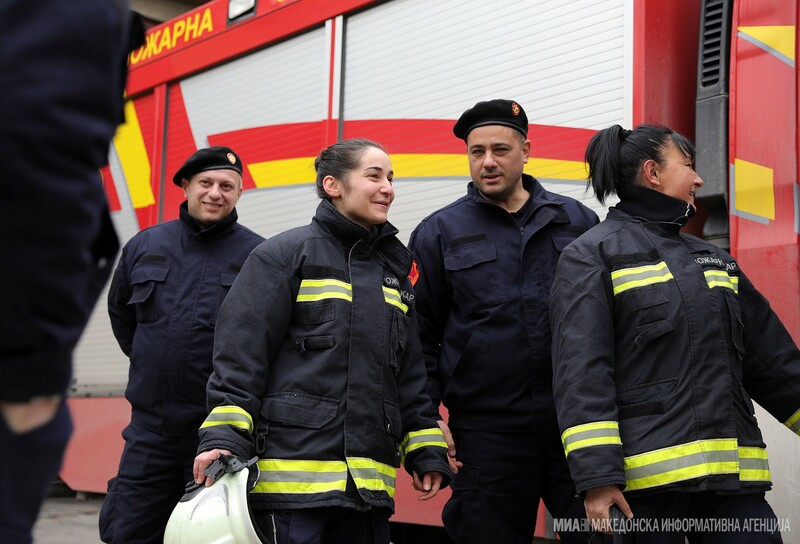 Biljana Denchovska and Menka Stojanovska are the female firefighters who defy stereotypes and prove there is no such thing as a male or female occupation. 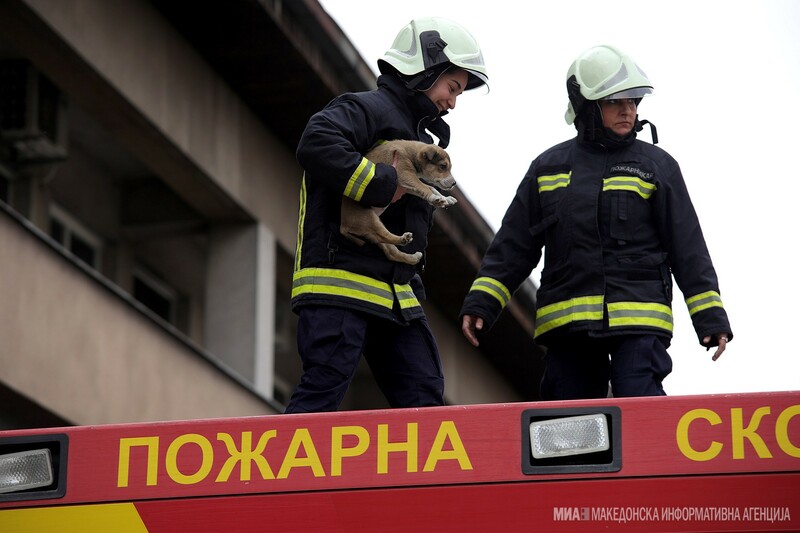 They work side by side with their male colleagues from the Skopje Fire Department and bravely face any challenges that come with the job. Skopje, 22 February 2019 (MIA) – They are funny and brave, but most of all compassionate. 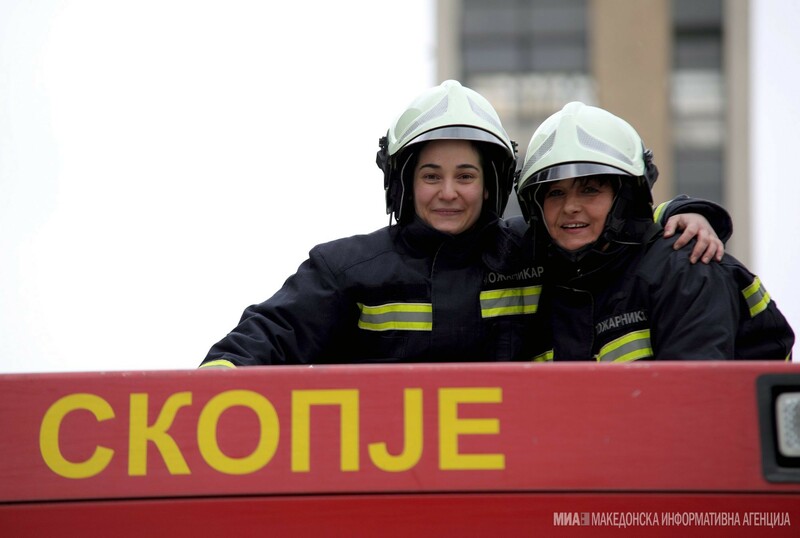 Biljana Denchovska and Menka Stojanovska are the female firefighters who defy stereotypes and prove there is no such thing as a male or female occupation. 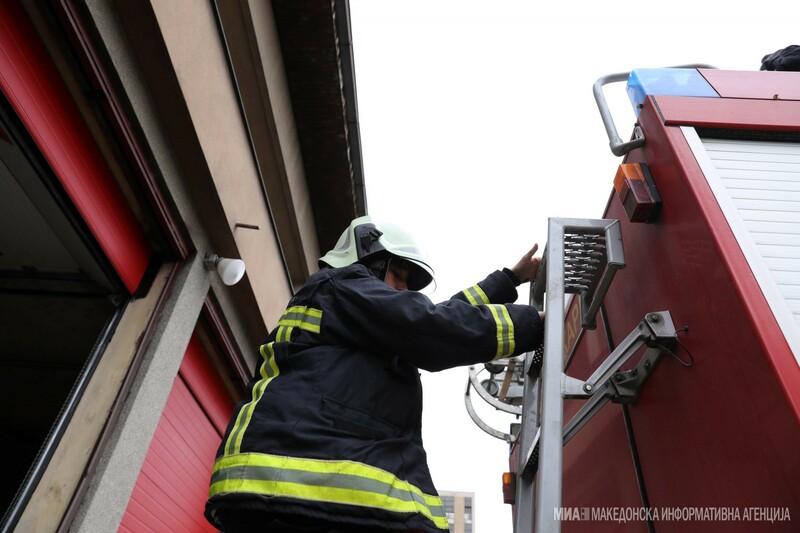 They work side by side with their male colleagues from the Skopje Fire Department and bravely face any challenges that come with the job. Biljana has wanted to be a firefighter since she was a child, and has had this job for 15 years. After passing all physical exams and training courses, Menka is one of the latest additions to the fire department. They both say they love being firefighters because it is a noble occupation. What encouraged them to pursue this career is their urge to help people. Some people still think women don’t make good firefighters, they point out. However, what’s more important is that women don’t doubt themselves, as others can sense a lack of self-confidence. “It’s nice when there is diversity. As women, we see things differently, and I think the success rate in any occupation would be greater if men and women were equally represented. There is a much different energy when men and women work together,” Menka says. Their colleagues treat them with respect and trust them completely. Biljana had it harder in the beginning because she was the first female firefighter and had to pave the way for future generations. She had to prove she was capable of performing the same tasks as her male colleagues. She says that 90 percent of her colleagues are physically stronger than her, but she, as a woman, uses her feelings as a source of strength and energy. 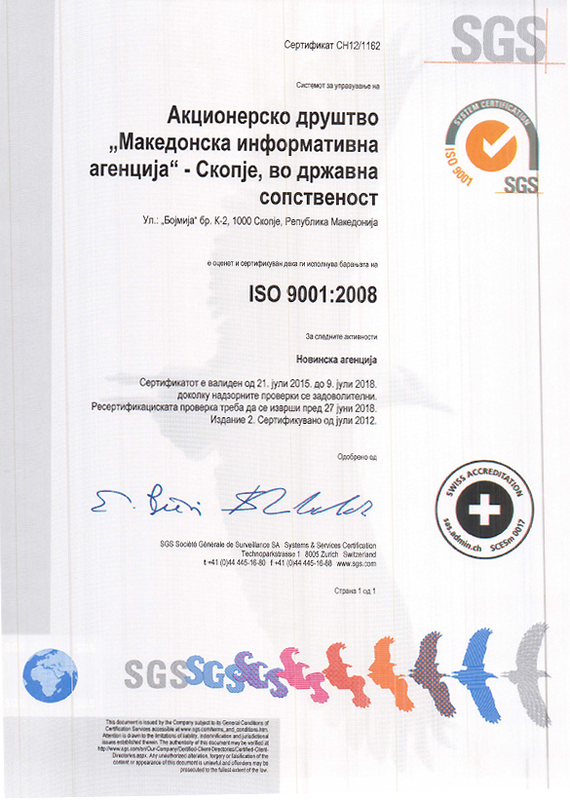 “One of the first cases I worked on was a house fire in Drachevo. The residents of the house were away. I wasn’t scared, but I still started crying. I was overcome with emotions, wondering where the people would go now, as their house had just burned down,” Biljana says, adding that those images are hard to forget. Besides fighting fires, they also try to comfort the people involved. “Sometimes we also act like psychologists. We talk to the people, and sometimes even make new friends. The greatest reward is when you see you are making a difference, which motivates us even further,” Biljana says. Menka adds that fires don’t only destroy people’s material possessions but also their memories. Technical interventions in car crashes and drowning rescues are especially difficult because firefighters have to put their own lives at risk to save someone else’s life. “We risk our lives to rescue other people or their material possessions. It’s important that the people understand they should stay out of our way while we’re working and know we’re doing our best to help. Often, people are not aware they’re in our way. They gather around, pressure us, talk and even record the fire with their phones. Our bravery is the reason we do our jobs right,” Menka says. They both say that if you love your job, balancing your work and home life is not an issue. “When there is a will, there is a way,” they agree.